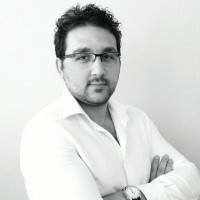 Mohamed Bitar has been involved with digital software for many years and has worked for several companies. In 2011, Mohamed decided to start his own company, digitalCUPS. He has been part of several panels, has spoken at the digital media forum, and has trained many employees. He received his Bachelor of Science Degree in 2007 from the Lebanon American University. His passion for the digital industry is what caused him to establish his own company at the young age of 27. Mohamed has been published in several media magazines, and is proud to donate a percentage of his earnings to charity. He enjoys reading publications including Tech Crunch and Mashado, as well as playing basketball.